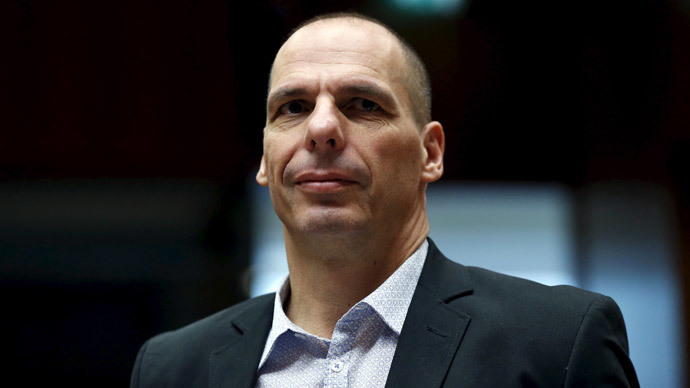 Greek Finance Minister Yanis Varoufakis, who has been sidelined from Greece debt negotiations, says he wished the country still had the drachma, and that Greece would never sign any bailout plan on unfavorable terms. “But once you are in, you don’t get out without a catastrophe,” he said. Varoufakis suggested the €27 billion in bonds owed to the ECB, after €6.7 billion are repaid in July and August should be pushed back which could be done by a bond-swap. The finance minister says the swap is not an option as it fills ECB chief Mario Draghi's "soul with fear." Varoufakis said Draghi is afraid to irritate Germany with a debt swap because of Berlin's objection to the European Central Bank’s bond buying program. The Greek Finance minister first raised the idea of swapping Greek debt for growth-linked or perpetual bonds when the leftist Syriza government came to power earlier this year. It dropped the proposal after a cool reaction from the eurozone. So far Greece has been settling its IMF repayments on time. Athens repaid €750 million in debt interest early this week, but Varoufakis warned then that the country could default next month if the liquidity issue is not resolved. Greek GDP figures, published Wednesday by the European statistical agency Eurostat, revealed that economy was returning to recession and is facing a serious cash crisis. It shrank 0.2 percent in the first quarter of 2015. Greece is struggling to repay its multibillion euro debt to the troika of international lenders – the IMF, the ECB and the European Commission - trying to find a way to get a further €7.2 billion bailout unlocked.